The escrima products listed on this site are very dangerous and should only be purchased by trained Filipino martial arts practitioners that understand the severity of the danger. HinTech, LLC is not responsible for the use or misuse of these products. You are solely responsible for maintaining your own safety and the safety of those around you. Kali sticks are not floatation devices. 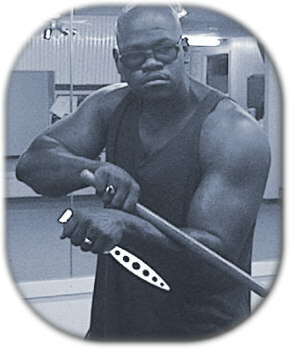 Escrima players know that when using escrima sticks of ANY kind against each other, they WILL break down. Stick dents, bruises, and breaks are part of normal wear and tear when hitting wooden sticks together. When Mike is not working for the Virginia Department of Corrections, he is the manager of the complaint department for Hintech, LLC. Thanks Mike!